The baseball must have been flying everywhere down on the farm for the Cincinnati Reds prospects. 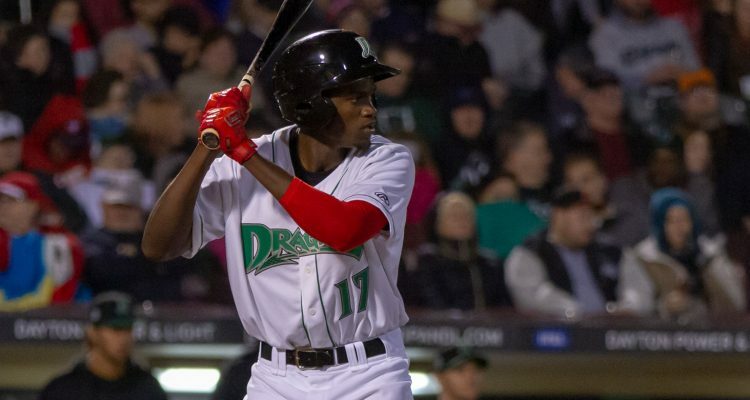 The blasts began with center fielder Mariel Bautista in the 1st inning of the Dayton Dragons game. He took the first pitch thrown by Padres 1st rounder Ryan Weathers and sent it 400+ feet. It was a big night for Bautista, who had been slumping, going 3-5 with that home run. It was his second homer of the season. That led the team for a few innings before teammate Bren Spillane came to the plate later in the game and crushed a 435 foot home run of his own to tie him for the team lead. The camera missed the “landing spot” of the ball, though as broadcaster Josh Hess notes it went off of the scoreboard. For Spillane he’s had an interesting start to the season. He’s hitting .244/.367/.439. There’s been some pop, and he’s walked 7 times in 12 games to give him a .367 on-base percentage. But he’s also struck out 24 times in 50 plate appearances this season. Another night and another home run for Josh VanMeter. 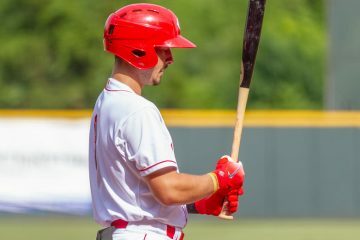 The Louisville Bats, and Cincinnati Reds organizational leader in home runs cracked his 5th homer of the season on Tuesday night. There was no official distance on this one, but the estimate I gave on it was 427 feet after watching the replay and using the google measurement tool. That wasn’t all he did on the night, either. VanMeter also added a double in the game and is now hitting .354/.396/.750 through 13 games on the season. But wait! There was strong pitching, too! 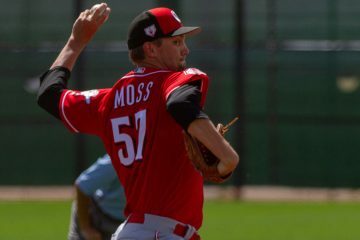 While the baseball was flying out on rocket ships for some of the Reds minor leaguers, some of the pitchers had themselves good nights, too. In Dayton it was reliever Alexis Diaz who threw 1.2 perfect innings and racked up 4 strikeouts. The right-hander now has struck out 14 batters in 7.2 innings this season and has a 2.35 ERA. In Jupiter where the Daytona Tortugas picked up a win on Tuesday, Packy Naughton took the mound. He was also celebrating his 23rd birthday and he did so in a big way. The lefty tossed 6.0 shutout innings, walked no one, allowed just 2 hits, and he struck out 6 batters. He also generated 9 ground outs and had just 1 fly ball out in the game. His ERA dropped to 2.55 and he’s got 18 strikeouts with just 2 walks in 17.2 innings thrown this season through 3 starts. 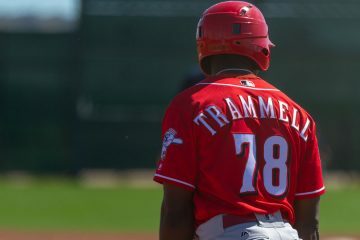 Which Cincinnati Reds prospects are out to a hot start? Doug, any word on Alex Blandino? Can Van Meter field/versatile? Looks ready to rake in show. His swing looks a good match for GABP 370 right center. 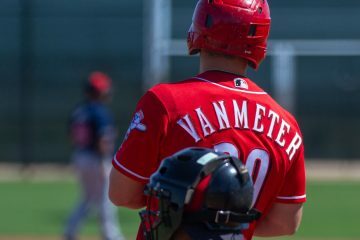 Have always liked VanMeter even when he played for Fort Wayne but have to wonder where the power is coming from. It has never been there before. He’s hitting the ball in the air a lot more in Triple-A than he has at any other level prior. That helps. A lot. Enough there to dream on Alexis Diaz becoming a version of what his brother Edwin is for the Mets. Even if not as good, a multi-inning stopper reliever has huge value in todays game. Diaz is already 22 and in Low A. I think he gets moved up to Daytona by the MiLB all star break and I he is strong enough there then starts 2020 out in AA. I didn’t get to see him when I was at the Dragons game last Saturday, but it’s been a great start.